Bozo Film Company is a full service production company, with more than 20 years of expertise in audiovisual corporate communication. We provide advice and assist you in the briefing process, the conception, the production and the realization of corporate movies, interactive media and website videos. Our target industries are mainly but not exclusively, the following. Our core business? Audiovisual corporate communication, for both internal and external use. You will find below a selection of our movies per category. Watch and enjoy! Bozo Film Company has been founded to meet the demand of some of our corporate clients. 20 years of workmanship, experience and expertise combined with involvement and authenticity… we have rightly earned our place in the top of our sector. Targeted visual corporate communication. It is all about impact! The message must get across and call to action! We perfectly understand what you have in mind and we turn your ideas into image and sound. A seamless process, in which the different steps, from concept to delivery, flow one into the other. This process is not as easy and effortless as it seems. It requires an in-depth analysis and a thorough preparation. But it certainly pays off! In addition, we want to make this process as smooth as possible for you! For this reason, you will have at your disposal a single point of contact who will steer everything from the inside and will keep you constantly posted. This allows quick adjustments and more straightforward decision making – another way to save money and time. 100% reliability. We always meet our commitments, both in terms of deadlines or costs. In other words: you will never be facing unpleasant surprises. If the mission is extended or some additional issues have to be addressed during the project, we will discuss together how to deal with them. There is no doubt in your mind: you want a corporate movie! Count on our expertise to get the job done. It is up to you to decide how much your input rate and our contribution rate will be. No problem, we will take care of everything, from the concept, the creation and the production until the final result. Great! We give shape to your ideas. You tell us in detail what you want and we make sure that it gets technically done. All our missions, large or small, are equally important to us. The whole is more than the sum of its parts. That is our philosophy; it keeps us sharp and it ensures you get the best possible result. Bedankt voor de fijne samenwerking en het goede resultaat! Wat een mooi resultaat! Echt prachtig in beeld gebracht, zowel technisch als de inhoud ondersteunend. (...) Als je de mensen van het filmhuis nog hoort, breng ook hen dan een pluim op hun hoed over. Zij hebben de inhoud echt wel ‘gevoeld’ en heel mooi in beeld gebracht, ondersteund met tekst en muziek. Dikke proficiat, schitterend!! Dankbare groeten, Dominique. Bozo Film Company staat garant voor kwaliteitsreportages. De regisseur denkt mee na over het concept, werkt zich helemaal in in de materie en staat open voor suggesties. En dat zie je in het resultaat. Bovendien werkt de cameraploeg met het grootste respect, een sine qua non in onze ziekenhuisomgeving. Compliments for the video flooding in from our colleagues across the network. FYI : we krijgen heel positieve reacties op de nieuwe presentation clip ! Verfrissende look and feel !! Nogmaals bedankt voor de snelle reactie vandaag en uiteraard voor jullie aangename en professionele samenwerking. I just wanted to let you know that the video was a success!! Members liked it a lot and have asked for links to put it on their websites and told me that I have to find further ways to publicise it (will do!). 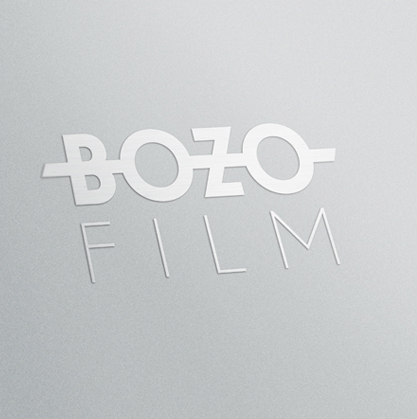 Bozo Film Company has received several awards on International Corporate Film & Media Festivals. Intermedia-globe Silver Award "OXFAM 50 Years"
Silver Dolphin "OXFAM 50 Years"
Special Award "Hand in Hand"
Intermedia-globe Silver Award "Switching The Poles"
Finalist Certificate "Oxfam 50 Years"
Silver Dolphin "Switching The Poles"